The ultimate in DAILY Gastro-intestinal Support! 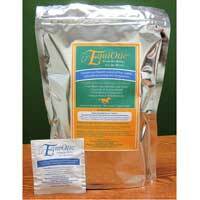 10 BILLION CFU’s of Equine sourced reuteri and Saccharomyces boulardii. More active ingredient than any competitor in a daily support and maintenance dose. HORSES LOVE THE FLAVOR!